When I wrote (Page Nine No. 121) about all the glowing reports that a compromise had been reached in the so-called "background check" bill (the Manchin-Toomey deal), I noted that no one actually knew what was in the compromise so-called "background check" bill being promoted. I was incorrect, as a sharp-eyed Page Nine reader pointed out. The perpetrators of the scheme (Sen. Charles Schumer plus unnamed staffers), and their representatives doing the press conference (Senators Manchin and Toomey) knew. Thanks for finding this mistake, Brookes. And now, of course, we all know. And it's not good. Funny, the press coverage was so glowing. I have posted the draft bill here. It starts with 11 pages for the $100 million grant from government to government you all heard about. See my report on the gun registration bill below. One other error deserves mention. The media, the bill's promoters, and even Mr. Obama, are virtually bragging that "90% of Americans support universal background checks," even though everyone in America knows that NO political issue in this country has 90% support, especially any gun issue. Plus, the bill being promoted as a background-check bill is a gun registration bill. Is that what the unnamed survey measured? Did the respondents support the $100 million giveaway, or even know that's what they were saying "yes" to? Of course not. Did they know a paperwork error means prison time? Of course not. The anti-rights people so desperately want to enact their gun grab they will propose absurd stories, and the media obediently promotes them without research or reason. The survey is a lie. The leadership is lying. The media has become an enemy of freedom. This is getting really bad. "Nobody's seen a communist in over a decade!" to a room full of rich democrat contributors laughing and applauding! U.S. representative Barney Frank asks, "What's wrong with socialism anyway?" -- More than 1,000,000 background checks since the system started have denied firearms to Americans, but almost none got trials. What this means is gun-rights denial by decree. Are these people actually guilty of anything? Or are their rights just taken away by a computer and some bureaucrat in a closet somewhere? I'll have the full breakdown next time. -- More than 99,000 of these denials were for wanted fugitives. The fugitives were standing in front of dealers, had given up their addresses, signed papers, and were waiting around with the FBI on the phone... then were turned loose. Why would you want to do more of that? -- What about the U.N.? I have the details on the U.N. effort to disarm America, and Mr. Obama's complicity in those actions, but the urgency in getting this report on the domestic enemies of gun rights prevents me from going into it at the present time. I'll do another Page Nine report soon, tell your friends to sign up at https://www.gunlaws.com. -- The lawsuit to allow us to say "Guns Save Lives" in public is moving along, but who has time for tiny things like that with our own Senate attempting to register innocent gun owners? Maybe soon. -- The bomb blasts in Boston have preempted all other news; five minutes on any news channel gives you all the news there is, the rest is idle speculation, talking heads, he said she said, endless loops of the little meaningful video footage available (the same on all stations), hundreds of repeated mentions of a Saudi national... the upshot is that this will obscure real news, especially of the effort to evaporate gun rights in the U.S. Senate, which will not cease its work -- even if the flag is flying at half staff. Who gave that order? Do you lower your flag if someone kills your people? Is that proper etiquette for the United States flag? I suspect not. http://www.usflag.org/nffhalfstaff.html. But I digress. 1- "Background gun-check records are saved." ultimate and imminent registration of every gun and gun owner in America. The mandatory paper records are saved -- nobody denies that. Federal agents use those all the time. The electronic records have virtually no controls on them. They go into a system designed as a recording device. This bill vastly expands the electronic records federal agents will collect. Read the bottom of page 27 of the bill* (below at the asterisk, read it, it's killer, very short) and you tell me if you think that language stops the federal government from recording, storing, collating, compiling, distributing, securing, retrieving, integrating, merging, using or... backing up its records forever. It doesn't. Show me an audit trail. You can't. It's not there. It doesn't even limit the FBI or BATFE in this regard. It only restricts gun dealers and gun owners. It is a complete farce. Show me where they can't go around and just use all the Form 4473 gun-registration papers you fill out that every dealer must permanently keep -- as they are doing right now and have been doing for years. You can't. This bill allows the federal government to do almost anything it wants with records of you and your firearms, and massively expands the records it can collect -- even though it can't collect absolutely every record at this time, yet. Failure to give them all the records they currently demand under this bill, even by accident (and there are plenty of easy ways to innocently make an error), would put you in prison. The 15-year prison term they threw in for creating a federal registry is a meaningless smokescreen. The bill requires you to get a background check to buy firearms from people you meet at a gun show, but doesn't require anyone to do a background check just because you want one. Dealers would have plenty of reasons not to do such a check -- like having paying customers, liability, fee caps, and pressure from a sometimes rogue federal agency like BATFE. That would mean the end of freedom at gun shows. This is something Sen. John McCain has been working on for more than a decade. McCain was quoted by the Associated Press today as "very favorably disposed" to this Manchin-Toomey-Schumer gun-infringement bill (meaning he likes it). This bill is totally unacceptable. And what's that bit at the end of that section that says medical- and health-insurance-company owned guns are exempt? Say what? Where's the media on that? I'll do a more detailed report on this soon. Or someone should. The bill offers gun owners some trinkets -- "sweeteners" they're called. 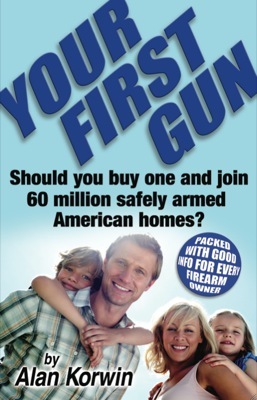 Like being able to buy a firearm in any state you are in, not just your state of residence. That would remove a grotesque infringement in place since the 1968 Gun Control Act. 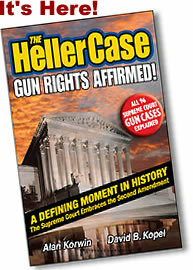 It was apparently squeezed in there by a gun-rights group (CCRKBA.org) now taking a lot of heat for cooperating with the anti-rights bigots. That's a good trinket, true, and I might accept that -- but only as a stand-alone bill, certainly never as a condition for gun registration. Do you think the gun grabbers would go for that? They only accepted Retail Freedom to get their tyranny enacted. There are other "sweeteners," like restoration of rights, and other things America should have -- but only as stand-alone bills, never as bait to allow gun registration. Manchin-Toomey-Schumer must be rejected outright. The idea of making tyranny acceptable by offering trinkets is absurd and must be killed. It's far more important to look at the underpinning of this scheme, the story behind the story the public loudspeaker omits entirely. Why are we even having this discussion? Because a madman killed children in a kindergarten in a corner of the nation. That's really the only reason. 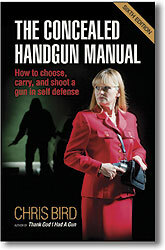 This led Dianne Feinstein, Charles Schumer, and the president of the United States to begin a campaign to ban certain firearms we own by brand name and looks, our ammunition magazines by size, to restrict public gun shows, and introduce gun registration and background checks on all innocent Americans as a response. They are dancing in the blood of victims, to advance a monstrous agenda, a game they have played for decades. They can call it background checks all they want. It's about gun registration (and other illegal infringements). and the media doesn't know that. Most of the public doesn't either. Think -- A gun list would not have saved or solved any of the mass killings that have ignited these law-writing frenzies, right? Right. In no way whatsoever. So what do we need? At last, the right question. The real problem with gun registration. Only one thing is overlooked in the common-sense proposals to register guns, so here it is. How exactly would writing down my name, or your name, help arrest criminals or make you safer? Although at first blush, gun listing has a sort of tantalizing appeal, on reflection you have to wonder whether gun lists would be an instrument of crime control at all. 1. Registering 100 million Americans is extremely expensive -- and omits the criminals and crazies. Do you know what it takes to run a database that big? You need 27,000 changes daily, just to keep up with people who move every ten years. Floor after floor of cubicle after cubicle for employees with permanent jobs, payroll, parking and dry cleaning bills. It's a government jobs program all by itself, all in the common sense -- but deceptive name -- of stopping crime. How many criminals and crazies do you figure will register when all is said and done? That's right, none, and the planners know that, but the media never mentions it. All that money and time is invested on tracking the innocent. That's why so many police departments are against it -- they'll be forced to run huge data centers with their limited resources, and hire clerks instead of cops. And make all that data on us available to central command at the FBI. It makes even them nervous. And that's not crime fighting. Canada just scrapped their registry as a worthless paper trail on the public (after wasting $2 billion on it). 2. Americans who fail to register property they already own would become felons without committing a crime. Under registration, property and activity that has been perfectly legal since inception makes you a felon. Think about that. Possession of private property would subject you to felony arrest, if the property isn't on the government's master list... every single piece you own, and for many Americans, it's a collection. This is not the American way -- it is something else with a very ugly name. The agency in charge (BATFE) is infamous for busts on minor paperwork errors (and worse). No other evil is needed, there is no victim and no inherent criminal act takes place. Paperwork equals prison. That's just wrong. Why are we even thinking of this? Why doesn't the media point out any of this? Who are these people? How many times must an elite forbid what the public wants, before learning the unintended consequences of outlawing liberties? People get their freedom either way, it's just a question of how much crime the government itself forces to accompany it. With respect to guns, the last thing you want to encourage is the creative import programs and price supports that drug dealers enjoy, for gun runners. Tell what? If your neighbor is shot, that's not probable cause for a house-to-house search of every armed home in a ten-mile radius. (Can you imagine if police had power to do that?) The evidence needed to conclusively link a person to a crime has no connection at all to a registration scheme -- you need motive, opportunity, witnesses, physical evidence, the murder weapon. Police aren't waiting for official lists so they can start catching murderers, right? Gun-registration schemes lack a crime-prevention component. Think -- A gun list wouldn't have saved or solved any of the mass killings that have ignited these law-writing frenzies, right? Right. So what do we need? At last, the right question. Pile logic on logic, some people just feel the government should register everything, just to keep control. When government has that much control, you no longer possess your liberties. You're living where government lists define who can do what, and where people control trumps crime control -- the gun registration model precisely. This form of "gun control" isn't about guns, it's about control. I might consider registration if the system would include criminals. In fact, I might consider testing the system on them first. But that's illegal. Gun listing is a feel-good deception that passes unquestioned by the "news" media and representatives who support such legislation, engorges the federal or state bureaucracy, and undercuts the linchpins of American freedoms. It has no more place in a free society than a government authorized list of words, and should be rejected outright. Elected officials who promote such a scheme are opposing the very Constitution they take an oath to preserve, protect and defend, and deserve to be removed from office. This portion of the Manchin-Toomey-Schumer amendment, i.e., all the additional use of the NICS system, at the very least, is defective and must be stripped. As you'll see when I get to it, most of the rest of the bill is no better. The fact that some gun-rights trinkets have been tossed in as sweeteners only means those items might be worth enacting, without all the attached infringements. Gun purchases outside our home states, for example, is a long overdue rights restoration worthy of passage. NOTE: Haynes only concerned a limited class of weapons called "destructive devices," which are listed and tracked in a special federal registry under the National Firearms Act. Congress rewrote that law after Haynes to require only the legal transferor, and not the transferee, of such devices to file papers, and along with other clever changes believed it solved the 5th Amendment Haynes "problem." In U.S. v. Freed, 1971, the Court agreed the problem had been fixed (for possession of hand grenades by criminals in that particular case). A general registration scheme would run into greater difficulty. 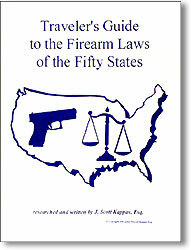 A prohibited possessor cannot have a firearm at all, so mere possession is a serious crime. An additional charge for failing to register the gun that can't be possessed would offend the 5th Amendment the same as in the Haynes case. However, possession of an unregistered gun by an ordinary citizen would turn that citizen into a felon, with no other illegal act but the paperwork failure. The innocent would have to register to remain legal, the illegal possessor could not register without violating the right to not incriminate yourself. *P.S. The only thing the feds propose banning themselves from doing in the Manchin-Toomey-Schumer gun-registration bill is to "consolidate" or "centralize" records. Any other activity is unaffected. Only the Attorney General is restricted. Only gun dealers and gun owners are restricted, the FBI and BATFE are not even mentioned. Statutory bans on gun registration in other bills (the Brady bill in 1994 and 1998, and the Firearm Owners Protection Act in 1986) have been ignored with no repercussions. It's a complete and total joke. Any reporter who would read it would know this. ‘‘(2) possession or ownership of a firearm, maintained by any medical or health insurance entity.’’. Alan, I have become a big fan of your Page Nine email newsletter and as well as the "Alan Korwin Experience" on Armed American Radio. I am an NRA Pistol Shooting Instructor, Ky CCDW Instructor and TN HCP Instructor. Even though I live in Kentucky (we ranked only point behind AZ in the recent Guns & Ammo Best States for Gun Owners survey) I want to give anyone that goes through one of my courses a button to wear. I am also going to encourage other CCDW trainers to do likewise and help ensure that we remain a great state for gun owners. -Brent Armstrong. [Brent, you are obviously an extremely bright fellow with a marvelous sense of what's right, and I encourage everyone to follow your excellent example. I wear my button constantly, especially every time I go through airport security and you know what? They all love it and ask for mine. And I give it to them, right off my shirt. Then put another one on when I turn a corner. In the plane I get either nods of approval or averted eyes.